Laura is an experienced entrepreneur who founded Crystal Sound Lounge in August 2017. Prior to this Laura has set up and run two media business and most recently held a senior executive position at Channel Four Television as Head of Growth Fund. In this role she invested in13 fast growing TV and online businesses including Whisper Films, owned by David Coulthard and a comedy company owned by Sacha Baron Cohen. Prior to that Laura co-founded the Emmy winning TV production company Nutopia Ltd.Early in 2017, Laura developed a rare eye condition triggered by excessive screen time. She was forced to stop looking at any form of screen for two months. During this period she tried yoga, mindfulness and meditation, but found these practices hard to master and difficult to truly relax. Finally, she discovered in Mexico a crystal singing bowl session and decided to try it. Within 10 minutes she felt a profound sense of peace like never before. 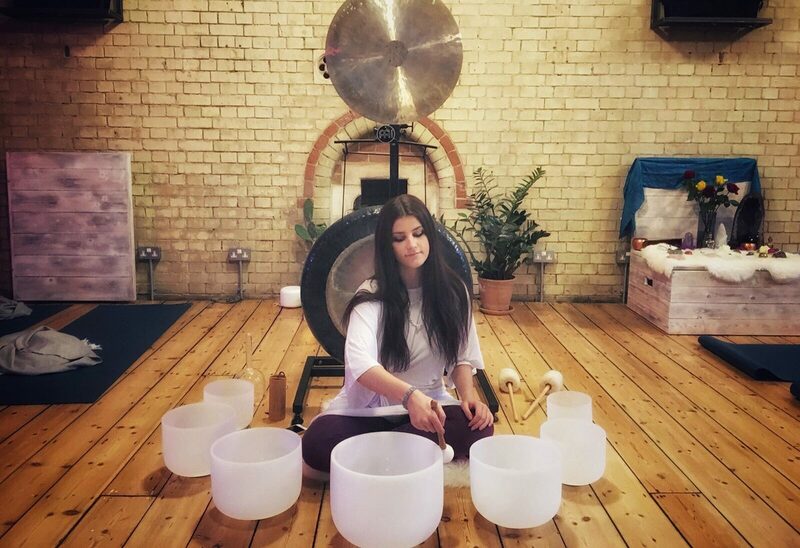 When Laura came back to the UK she was unable to find a place that offered sound baths. So she decided to set up a centre herself, bringing sound healing to a wider audience seeking new forms of relaxation in a sophisticated setting. Laura holds a first-class honours degree from Cambridge University and an MBA from Harvard Business School. 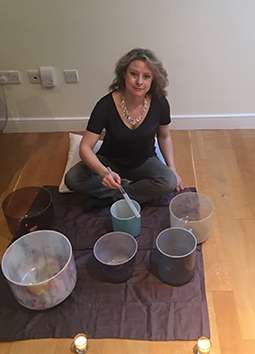 Laura holds a Foundation Qualification in Crystal Bowl Therapy from the Academy of Sound Healing. Chai is a Holistic Therapist with a musical background. 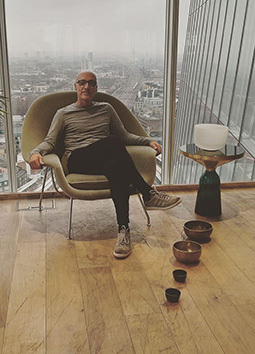 He has a master’s degree with the Guildhall school of Music & Drama and a Diploma in Sound Therapy with the Sound Healing Academy. 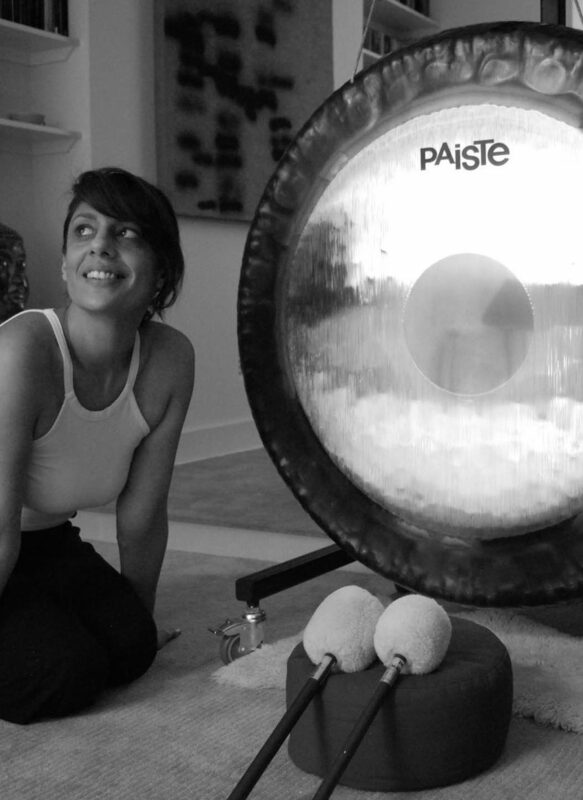 Kulbir is a sound therapy practitioner who specialises in the gong. Kulbir originally trained as a yoga and meditation teacher and now holds regular sell-out gong baths. Client’s report amazing sleep quality following Kublir’s powerful sound-baths. She was tutored at the College of Sound Healing. Julia is a crystal singing bowl professional who has been working with the Alchemy Crystal Bowls for the last five years. 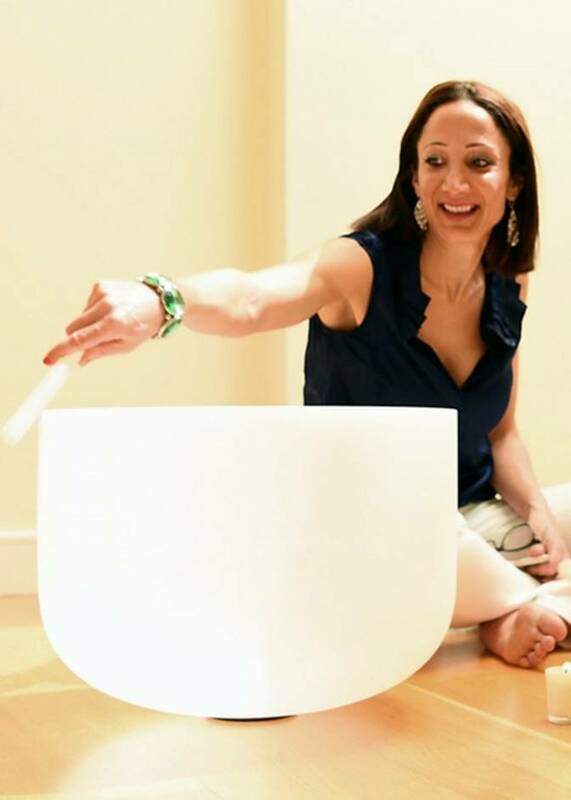 As an accomplished sound bath facilitator and treatment practitioner, Julia has pursued her passion for the Alchemy bowls with an active interest in the therapeutic use of sound for sound health and wellbeing. 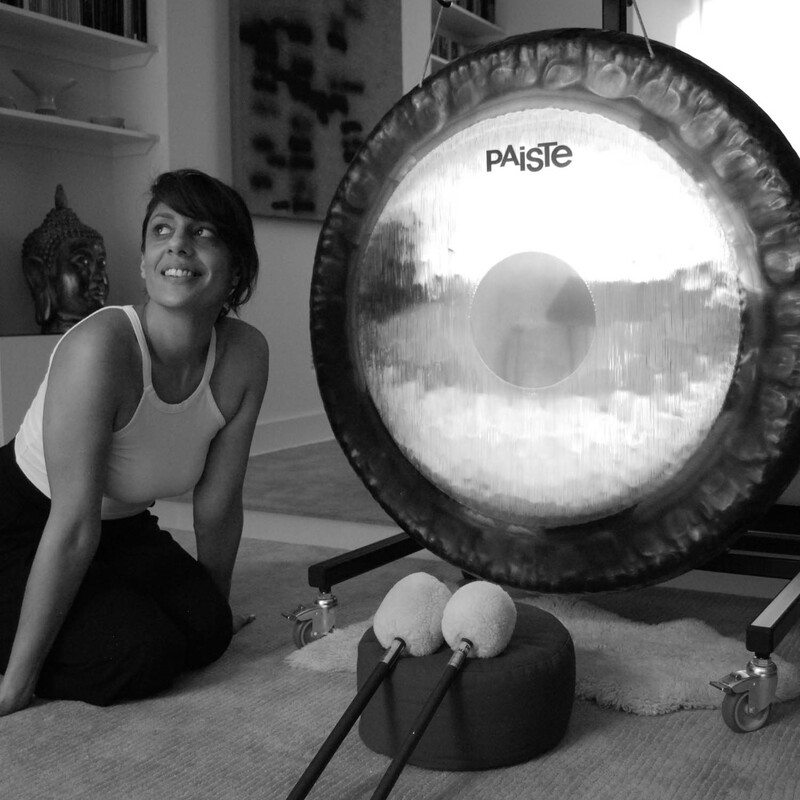 Simone, is a multi-instrumentalist, composer and fully qualified Sound Therapist. 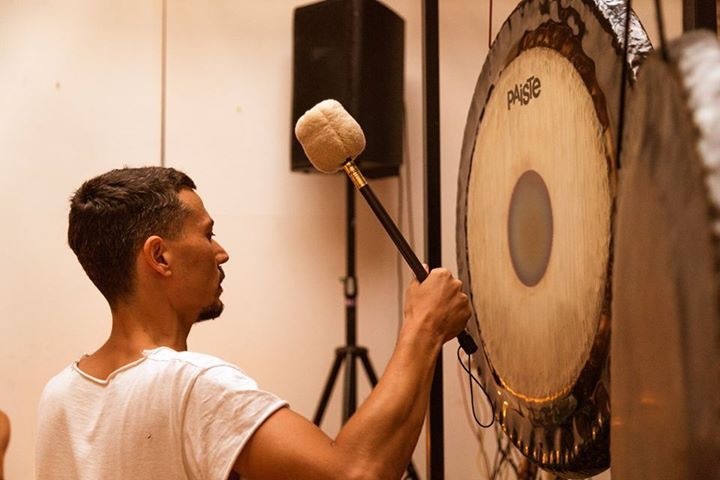 Simone specialises in playing the gongs and crystal bowls and trained t the British Academy of Sound Therapy in 2014 and then with Grand Gong Master Don Conreaux. We’re delighted to welcome her to the team. 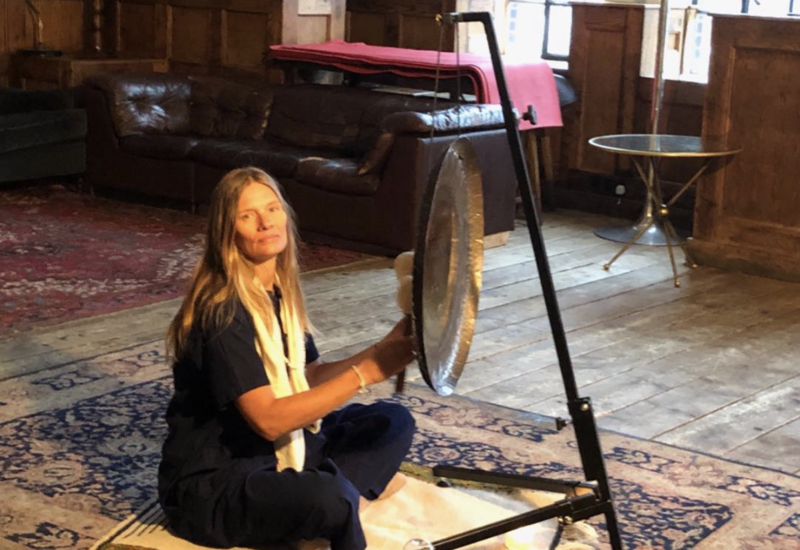 Hayley is a practising kundalini yoga teacher who splits her time between Ibiza and London and fell in love with the healing power of the gong. Hayley wizzes around London on her scooter with the gong strapped to her back, bringing sound-healing to Londoners in need.